Implementing the direction of the President, European Cooperation Center (ECC) and Bata Center in recent years have visited, met and exchanged with leaders of many Czech enterprises; to promote cooperation programs between TDTU and Czech enterprises and universities in trade and investment cooperation in Gia Lai, Binh Dinh, Lam Dong, An Giang and Binh Thuan Provinces; which are TDTU's comprehensive strategic partners. 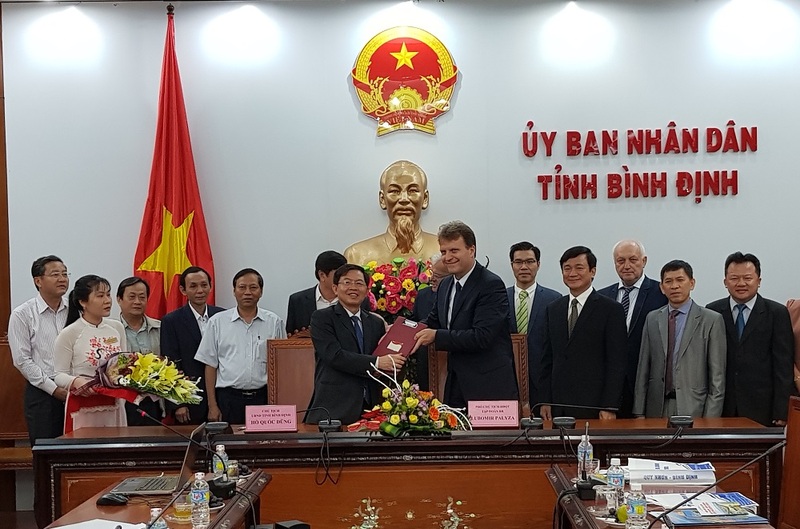 From November 20 to November 27, ECC invited a delegation of 11 Czech, Slovak and Polish businesses, President of 3 Universities, representatives of the Chamber of Commerce and Investment of Zlin Province to attend the Promotion Conference in Gia Lai Province on November 23 held at TDTU; and November 26 in Binh Dinh. Attending the Investment Promotion Conference in Gia Lai Province on November 23, Mr. Lukas Musil, Deputy Ambassador of the Czech Republic in Vietnam and Mr. Nikl, Head of Representative Office of the Czech Republic Trade Office in Ho Chi Minh City. During the meeting, the delegation visited and worked with the Director of Bata Center, "Czech House" at TDTU. Dr. Phan Dao discussed with the members of the delegation to finance the cooperation between TDTU, Czech universities and businesses. The parties also had discussions about potentials and strengths; projects calling for investment; preferential policies to attract investment of Gia Lai and Binh Dinh provinces to foreign enterprises, especially for Czech enterprises. On the occasion of Vietnamese Teachers' Day November 20, PhD. Phan Dao gave the gift to Professor. Petr Stepanek, wishing to have cooperation between Brno University of Technology and TDTU, especially in the field of sandwich research and research. This is a content in the comprehensive cooperation program between TDT University in general and the European Cooperation Center in particular with foreign enterprises and local authorities. 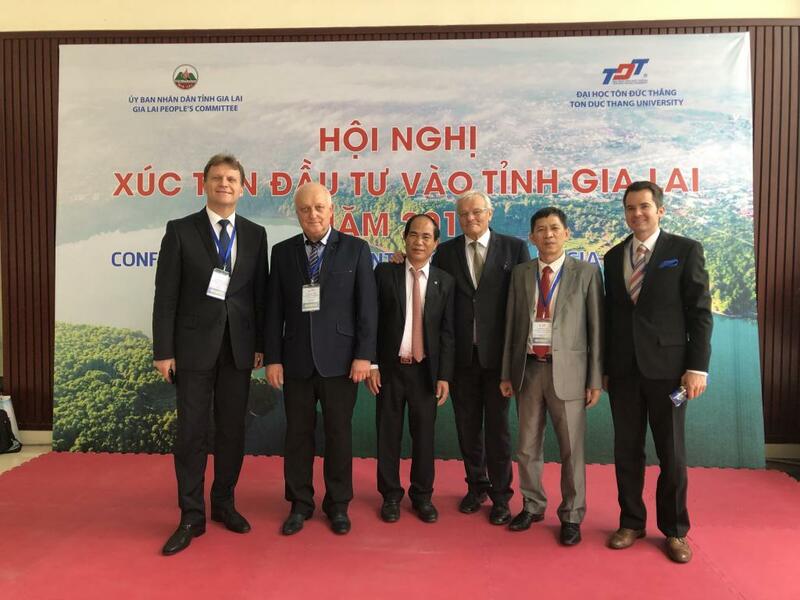 The delegation of Republic of Czech Republic and Chairman of Gia Lai Province (from left: Mr L. Palyza, Prof. Petr Stepanek, Mr. Vo Ngoc Thanh, Prof. Petr Saha, Dr. Phan Dao and Czech Deputy Ambassador Lukas Musil, November 23). 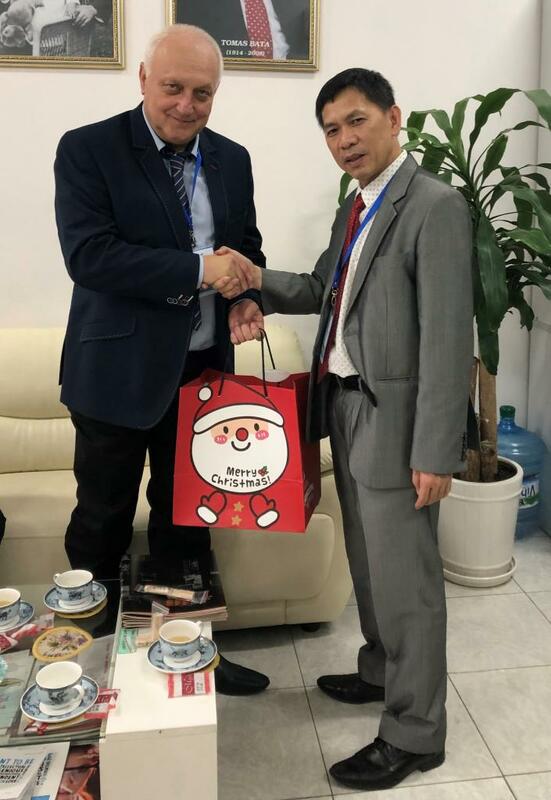 Dr. Phan Dao gave gifts to Professor. Petr Stepanek, President of Brno University of Technology. Mr. Lumir Palyza, Vice President of BR Group and Mr. Ho Quoc Dung, Chairman of Binh Dinh Province People's Committee signed a document on investment cooperation (November 26). 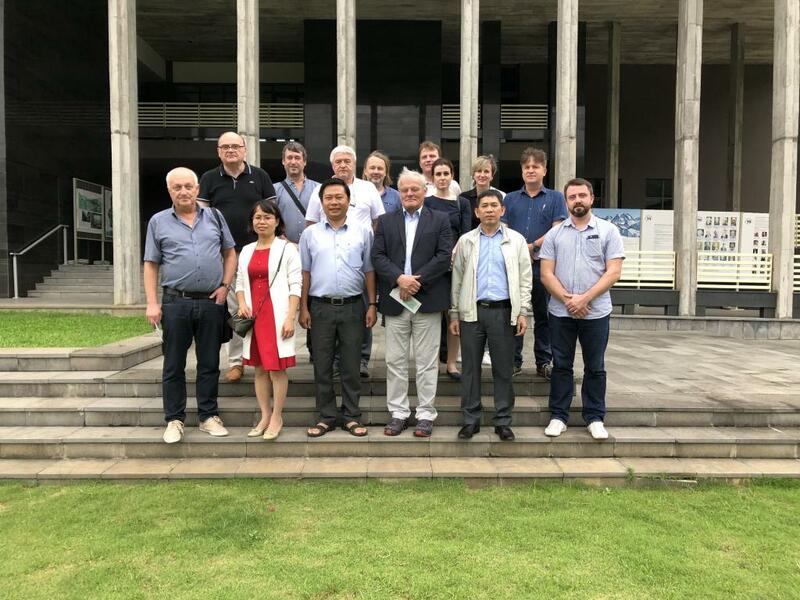 The delegation of the Czech Republic visited The International Center of Interdisciplinary Science - ICISE, Quy Nhon City, Binh Dinh. 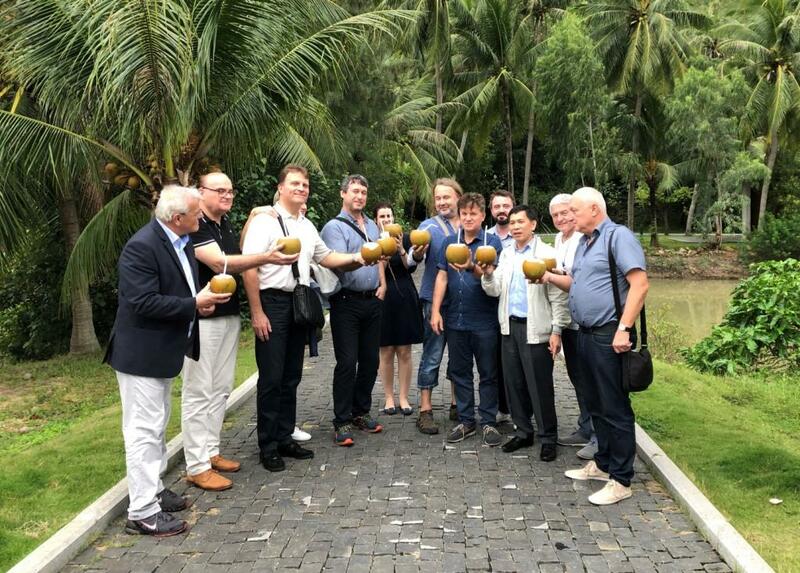 The delegation of the Czech Republic enjoying the famous Binh Dinh coconut at the International Interdisciplinary Center for Science and Education (ICISE), Quy Nhon City, Binh Dinh.